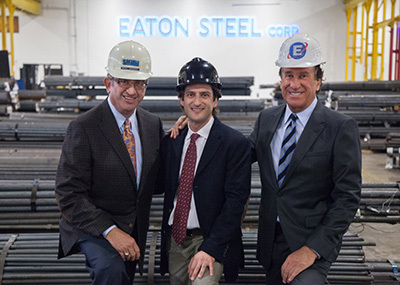 Eaton Steel Bar Company (ESBC) is more than just a steel bar company. The highest quality hot rolled and cold drawn bars supply the foundation of our business, but we also solve your steel bar supply chain problems. With over 300 team members working together at Eaton Steel, we ensure that our customers are given the simplest, most cost effective solution to any problem. We purchase from all the hot rolled bar mills in North America and supplement as needed with steel from around the world. This ensures you have what you need, when you need it. At Eaton Steel, our mission is to deliver industry leading products and services at competitive prices. We handle your biggest challenges and deliver the solutions right to your door on one of our over 100 trucks. Our Atlas Trucking and Logistics company is designed to deliver your products on time, every time. 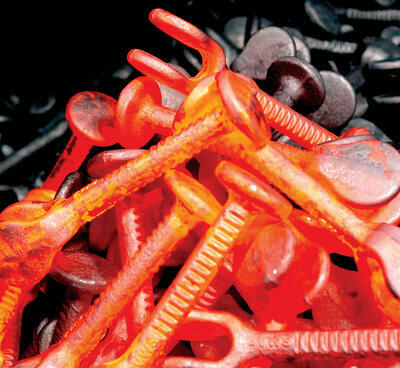 Bring us your biggest challenges and your toughest problems. We show up to work every day to create solutions for you.